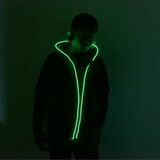 Neon lighting hoodie - green unique lighting hoodie ideal for party, disco or any oder occasion. Perfect glowing effect. 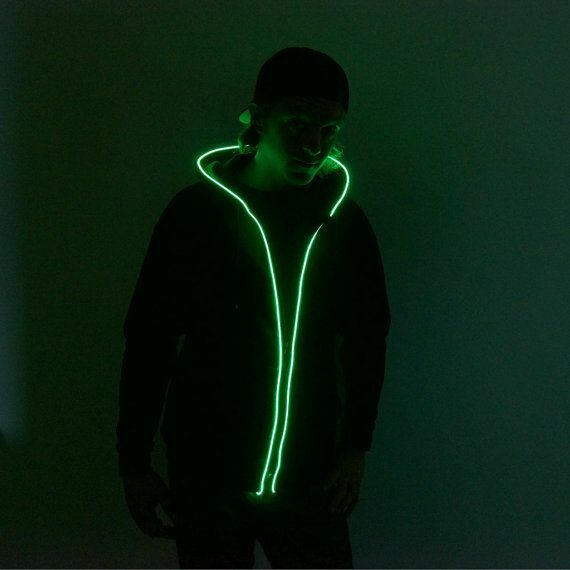 Neon hoodie, with which you will glow and be center of attention among your friends wherever you are. 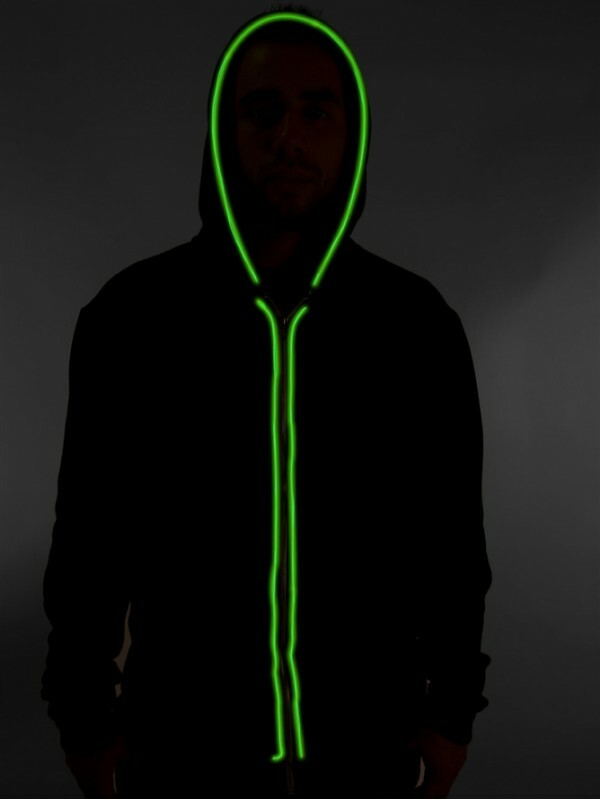 Each is lined with neon fiber around zipper and hood, so you will have cool party Tron - style. 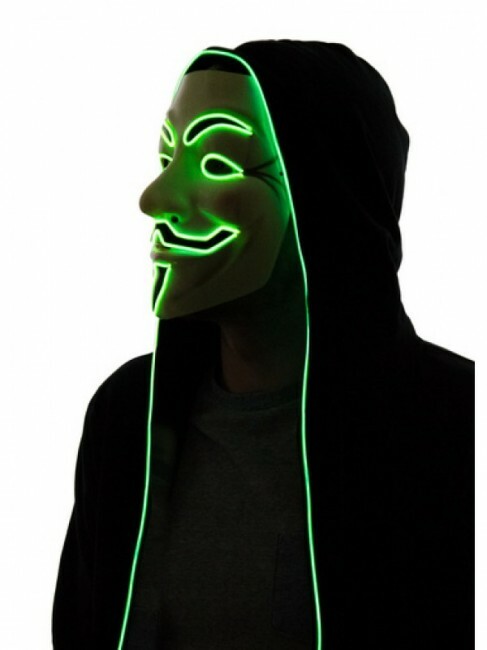 Ideal for use in discos, club, at a party or festival, and is the right investment for you if you want to get attention and be cool. Various modes like fast flashing, slow flashing and steady light.